Intelligent Sound Booster correct automatically the sound quality of your MP3/wav files. The limiter takes care of the loudness your files and the booster makes a warm rounded sound. In the fullversion you can auto correct the hole audio stream. 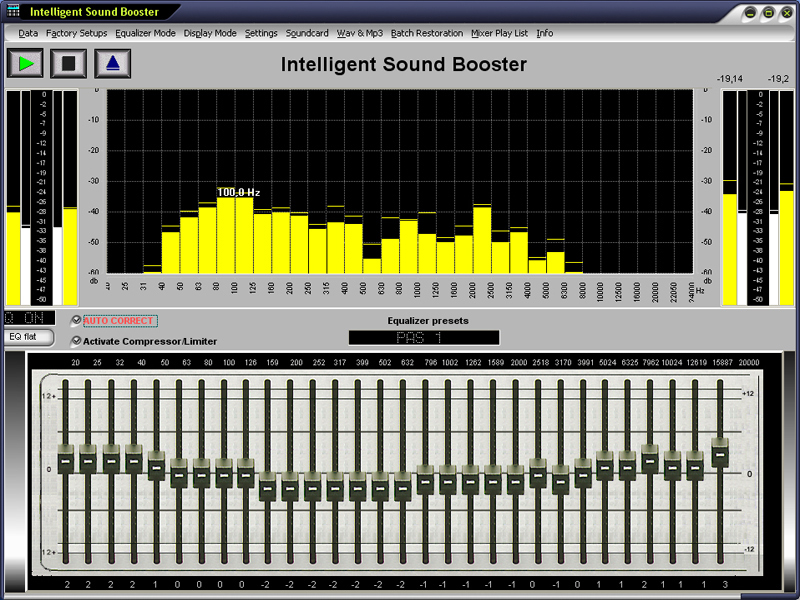 Intelligent Sound Booster correct automatically the sound quality of your MP3/wav files. The limiter takes care of the loudness your files and the booster makes a warm rounded sound. Streaming music which typically sounds flat or \'tinny\' will come to life with this wonderful program! You\'ll fall in love and your ears will be incredibly happy. In the fullversion you can auto correct the hole audio stream. Use this program to split your MP3s into many smaller ones. MP3 files can be split by a certain amount of seconds and minutes.